Paul Mitchell Supergirl Pro Returns to Oceanside, California July 24-26 for Only WSL 6-Star Female Surfing Competition in the U.S.
Disclaimer: While there are entirely too many women to include on this list, we selected some of the women that we think changed the face of their respected discipline. These women are in no specific order. Photo Cred: Blue Crush. Dir, John Stockwell. Universal Pictures, 2002. Film. If you ever step into a yoga class, the first practice you’ll start cultivating from within yourself is called Ujjayi breath, or ocean breath. 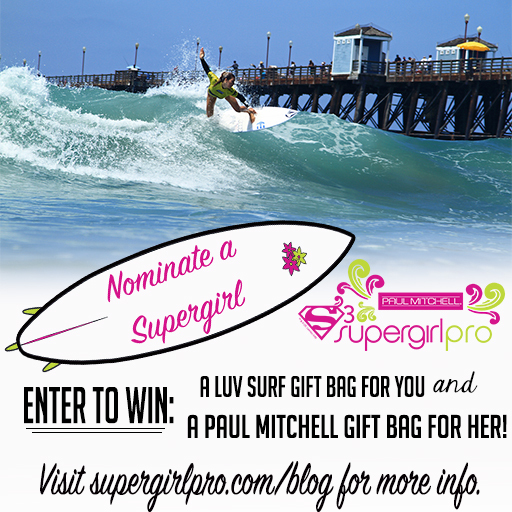 Paul Mitchell Supergirl Pro Returns to Oceanside, Calif.
AUG. 8 – 10 FOR ONLY ASP 6-STAR FEMALE EVENT IN THE U.S.